Loden Dager may not yet be a household name, but it is known in the fashion world as synonymous with simple, chic and playful. The three men behind the brand are Paul Marlow, Oliver Helden and Alex Galan. 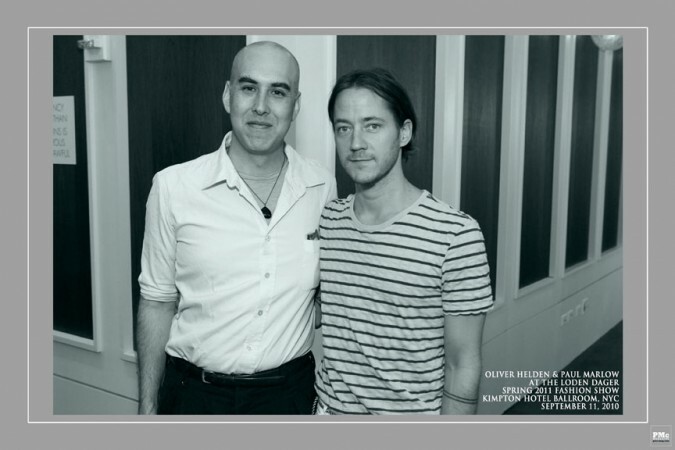 In 2010, they were CFDA/Vogue Fashion Fund Finalists (a recognition that, in itself, deserves applause). This recognition, and the buzz that has followed them, proves their ability to make trends rather than merely follow them. Paul Marlow has said in the past, “If you couldn’t tell, we don’t make clothes according to trends, we make clothes for ourselves and our friends.” And yes, not only does the content of that quote describe Loden Dager, but the form also defines them: the quote rhymes, which is fitting because there is a sort of sing-songy breeziness to their clothes. Basic looks that are anything but basic, made from comfortable fabrics and in fun colors–that’s the Loden Dager style. 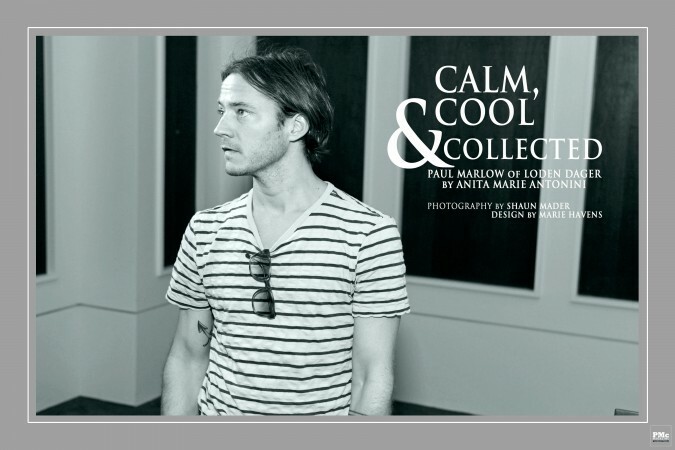 Anita Marie Antonini was able to have a chat with Paul about how calm, cool and collected the guys and the clothes they make always manage to be. Anita Marie Antonini: Having been backstage many times before a Loden Dager show, it continually amazes me how calm, cool and collected everything and everyone is compared to the craziness that I witness elsewhere. How do you keep it all together? Is it because it’s what you love to do? Paul Marlow: We love what we do, and we have been doing it with the same people for so long that it flows really well now. We front load all of the craziness into the weeks leading up to the show so that by show-time, we have done all we can do. AMA: The ability to collaborate is admirable. We started a photo agency and I know that teamwork is what makes it all happen for us. That’s uncommon in the design world because there is usually some driving force that gets all the glory. How does the Loden Dager process work? PM: We all pass around art/music/film/photos/misc, anything that is inspiring us at the moment and as it turns into an idea, Oliver and I are starting to form designs which either come from the inspiration, or end up taking us off onto a new tangent. It is a fun process. And we are always more interested in where we end up, rather than where we started. AMA: I went to Catholic School (even though I hated it) so I understand the wearing of a uniform. A person could wear Loden Dager every day (except one would not want it to seem like they never changed their clothes). You want to wear it every day like a basic but Loden Dager is never basic. It’s that well-made, cut beautifully, attention to detail, made to perfection quality that sets your collection apart from others. Can you elaborate on that at all? PM: Our idea of menswear is simple, chic, colorful, easy to wear. It is a uniform of sorts. We are exploring what we consider iconic male archetypes, and what each of those men need for their lives. AMA: You guys were CFDA/Vogue Fashion Fund Finalists. Can you tell me what that experience was like from the exciting to the nerve wracking? PM: It has been a wonderful experience, not without its stressful moments. The CFDA/Vogue Fashion panel was so supportive and nurturing though, and all of the people involved only want us to succeed. They are all people we respect from the field, and they are on our side. It’s amazing. It is an honor to be in an industry where there is such a network of support. AMA: Can you tell us a little about the current collection? Ooh La La, Will you be showing this collection in Paris as well? PM: We started this collection while looking at the paintings of Henry Scott Tuke, an English painter from the late 19th century/early 20th century, and reading the book The Secret Historian–a book about the author/artist/renegade Sam Steward. Loden Dager made its first retail appearance with the Fall 2006 collection. They have since been making inspired, relevant menswear for the contemporary everyman. In 2010, they were CFDA/Vogue fashion Fund Finalists.